New Scrabble Champ: Oregon Man, 24, Wins Title : The Two-Way In the final, Conrad Bassett–Bouchard of Portland used words including "florigen." Of the runner-up, the tournament head says, "He's going to be kicking himself for missing 'gramarye.' 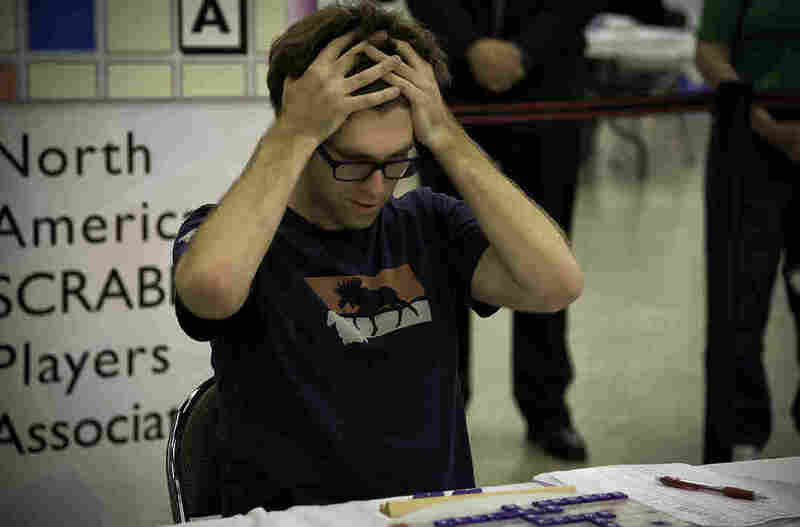 "
Conrad Bassett–Bouchard, 24, of Portland, Ore., won the National Scrabble Championship held in Buffalo, N.Y. His winning words included "florigen." Conrad Bassett–Bouchard of Portland, Ore., is the 2014 National Scrabble Champion, taking the title after a tournament that unseated Nigel Richards, who had won the previous four years in a row. Words used in the final round included "barf" and "florigen." The championship went to Bassett-Bouchard, 24, after he drew both a blank wild-card tile and an S on his first rack of tiles. His first word was "zilch." His biggest score, of 82 points, came courtesy of "docents." "In the final round, Conrad Bassett-Bouchard defeated runner-up Jason Li, a 29-year-old chemistry teacher from Montreal, by over 120 points with a final score of 478-350. Over 25 words were played including MAR, ANNEXE, NAIAD, FLORIGEN, DOCENTS, and BARF." The tournament also brought its share of agony for Li, who missed out on a chance to spell a high-scoring word. "He's going to be kicking himself for missing 'gramarye,' " tournament director John Chew later said, according to the AP. 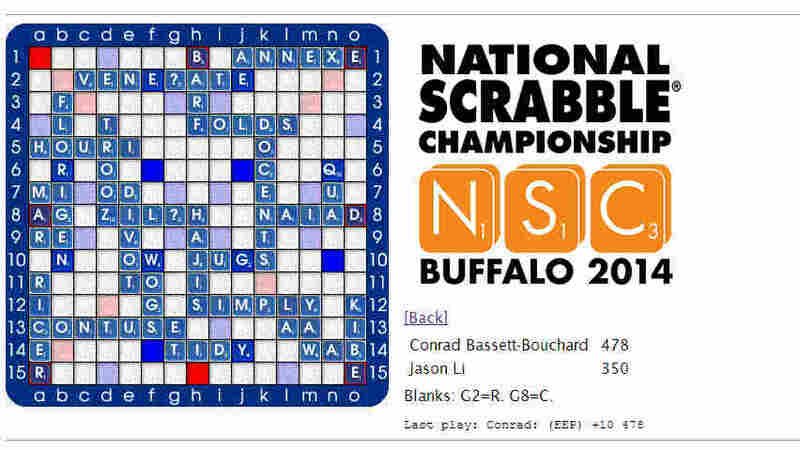 An online tally of the words played in the final round of the 2014 National Scrabble Championship, between Conrad Bassett-Bouchard and Jason Li. MAR: "to detract from the perfection or wholeness of"
ANNEXE: "chiefly British variant of 2annex"
NAIAD: "any of the nymphs in classical mythology living in and giving life to lakes, rivers, springs, and fountains"
FLORIGEN : "a hormone or hormonal agent that promotes flowering"
DOCENTS: "college or university teacher[s] or lecturer[s]"
The news that the Australian Richards, the defending champion, had been beaten by younger competitors who often play the word games online led The Australian to say that "the Michael Jordan of Scrabble" had been humbled.